We’ve also been making a few salamis. It’s still very much work in progress but everybody seems to like them. At the moment they’re available in mixed packs (Napoli, Finocchiona and smoked Montbeliard types) for £24.95 a kg. The Guardian recently trumpeted the rise of British charcuterie, see below, particularly the regional variations; seaweed and cider or blood, wine and chocolate for example. We’re keeping it simple to start with but, no doubt, those creative juices will start flowing at some point. Artisan charcuterie is “exploding”, says Sean Cannon from Cannon & Cannon, a dedicated British charcuterie distributor. According to his figures, in 2010, there were 19 British charcuterie makers; in 2017, there are more than 200, located everywhere from Hackney (Black Hand Food) to Northumberland (North Wall Charcuterie), while numerous charcuterie-led venues, such as Newcastle’s Box Social or Leeds’ Friends of Ham, prominently feature British cured meats. No one is disputing the enduring quality of European charcuterie (“There are exceptional European hams that have taken 250 years to develop, there’s nothing else like them,” says Cannon), but it is also true that in certain specialities – such as experimental salamis, venison bresaola and air-dried mutton – Britain is now producing distinctive, world-class products of its own. “We have the potential to make the best charcuterie in the world because we raise the best livestock. I’m convinced of that,” says Cannon. James Ratcliffe and Nina Matsunaga make a ham from local lamb for their Cumbrian restaurant, Three Hares. 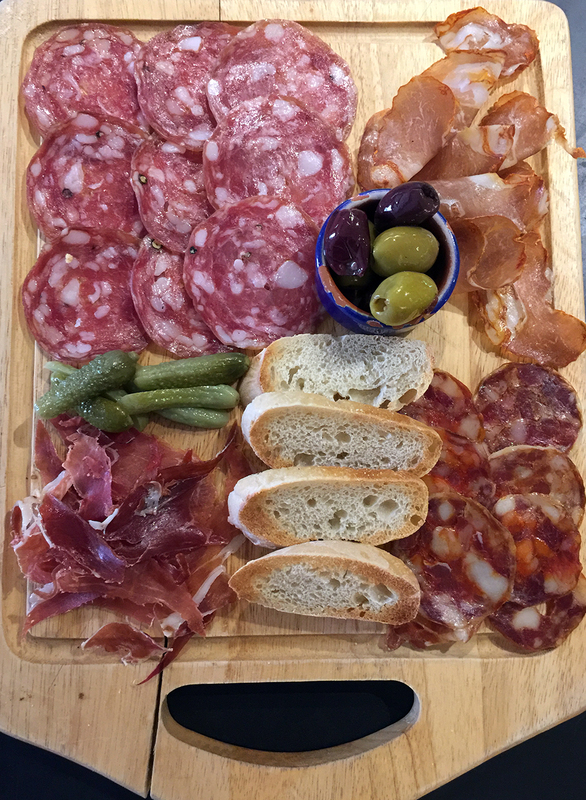 Much like the Clove Club’s Isaac McHale or the Reliance’s Tom Hunter in Leeds, they are part of a new parallel movement of chefs who are also beginning to make their own charcuterie. In Three Hares’ case, they are a tapping into a largely unknown UK curing heritage. “Curing mutton in salt, sugar and spices and serving it with capers was very traditional in Britain,” says Matsunaga. Despite all this optimism, the British charcuterie industry is still tiny, and vulnerable. For one, Swift is unconvinced by the Brexit bounce theory. British producers, he argues, are currently holding their prices while the cost of imported raw materials, from animal feed to sausage casings, has gone up 20%. That cannot hold. Future trade tariffs or patriotic “buy British” surges may help British charcuterie, but he is sceptical. And worried about how future farming subsidies, by favouring huge industrial farms, may finally destroy traditional British family farming: “That’s my major Brexit area of pain.”. Whatever happens post-Brexit, that will remain true. The best British charcuterie is hugely complex in its flavours, but, more than that, each mouthful is a tiny blow against the bland homogeneity of factory-farmed food. That will always taste good.